Click on the product to see the details. 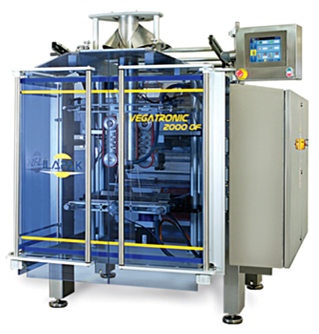 Width min 50 mm - 2.0" 50 mm - 2.0" 50 mm - 2.0"
Width max 280 mm - 11.0" 270 mm - 10.6" 280/270 mm - 11.0"/ 10.6"
380 mm - 15.0" 380 mm - 15.0"
The Vegatronic 2000 OF is the first of Ilapak’s intermittent film motion machines to feature an easy to clean, open frame design, offering exceptional hygiene standards to meet the most stringent requirements and regulations of the food industry. 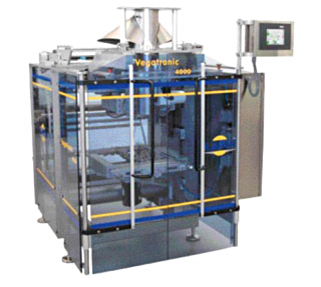 The VEGATRONIC 4000 successfully combines the innovative design based upon the “open frame” concept with the search for extremely accurate workmanships and execution so as to represent the ideal answer for all those applications, such as deep-frozen, wet or fresh food stuff where more and more restrictive regulations impose very strict hygienic standards and easiness of machine cleaning. 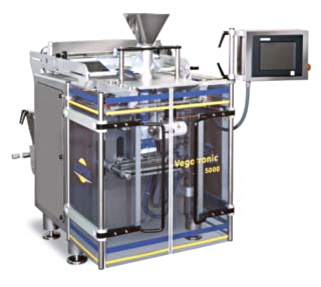 The use of the most sosfisticated control technologies united to the very high structural quality makes the VEGATRONIC 4000 extremely reliable and versatile with top class performance with any type of packaging materials. 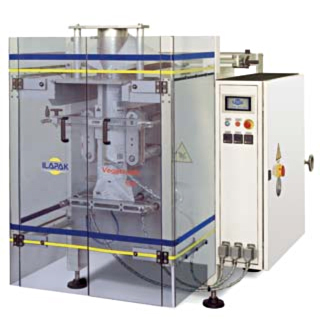 ILAPAK is one of the most experienced and fastest growing manufacturers of industrial wrapping (horizontal and vertical) machinery for primary packaging utilising flexible wrapping materials. 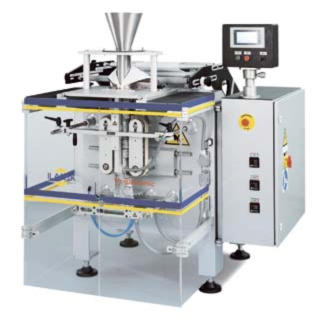 If you wish to receive information on products offered by Techno Pak and services. Click here to contact one of our sales representatives, spare parts and technical service departments. We moved to our new offices at 1131 Nobel Ste-Julie. Come see our showroom!